You want the best for your family, right? If your pets are the furry members of your family, then you’re probably interested to know which states in America provide the best and safest environment for them. To give caring pet owners peace of mind and some relocation ideas, Care.com released a researched list of the best and worst American states for your pet to live. Montana topped the list of best states for your pet’s health, followed by Nebraska, Colorado, and New Mexico. Just as the fresh Midwest mountain air seems to be ideal for people, your pet benefits from it too. Mississippi, followed by Southern states (including Alabama, Louisiana, South Carolina, and Arkansas) are the worst states for your pet’s health. These results, interestingly, correlate with the worst states for humans. As mentioned by Tim Smart, executive editor of U.S. News & World Report, some Southern states (which also include Mississippi, Alabama, Louisiana, and Arkansas) don’t do as well in education and health care as the more Northern states. According to Jessica Lockhart, an animal behaviorist from Dallas, this is partly due to the overall air quality in states with refineries, and the lack of pedestrian-friendly areas. Given its vast acreage of preserved wilderness, it is no surprise that Montana comes first. The more space your pooch has to play or your cat has to roam freely, the more active and healthy they are. Next to being surrounded by nature and room to play, the economics of a state also play a crucial role, according to Sally Morgan, a holistic physical therapist for pets and people. She explained that the economy in Southern states is a key factor in people’s ability to spend money on their pets. You’ll find fewer veterinarians in areas where people cannot afford veterinary care. She added that some people don’t even have enough money to feed themselves or access affordable fresh, whole foods, so their pets will suffer the same fate. Lastly, Dr. Judy Morgan, a veterinarian in New Jersey, said that the geographical area and the local climate could also make a huge difference in an animal’s health. For instance, heartworms, fleas, and other parasites are much more prevalent in hotter, humid climates. While moving to another state for your pet’s sake may be one crazy step too far, the take-home message is that you can overcome some of these issues to improve your pet’s health and happiness. There are many year-round preventative medicines available to prevent diseases and parasites. Furthermore, you can make your own DIY dog treats on the cheap, or enrich your pet’s environment with scratching and climbing posts or toys. Some of these preventative measures and toys, however, often come with a price tag some people cannot afford. “My dog weighs about 60 pounds, and his yearly heartworm, flea, and tick treatment is upward of $200,” noted Lockhart. Nonetheless, just as we try to improve our family’s health, pets shouldn’t be left out. 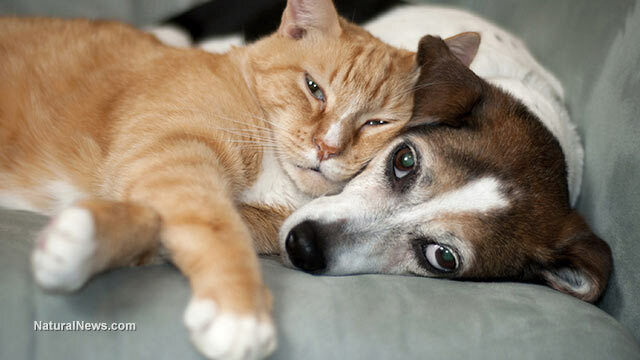 Since pets bring so much love and joy to a family, aren’t they worth a little piece of the family budget too?